This luxury watch and fitness tracker all-in-one is the best new offering in the fitness wearables market; never compromising on quality, precision or style. 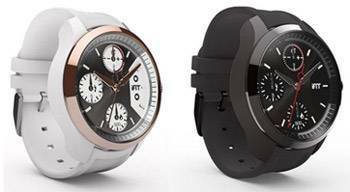 Available in chic white and sophisticated black, the latest in the iFit® wearable range features calorie counting and monitors calories burned and has an extra-long battery life, all within a lightweight durable exterior. The fashionable and ultra-modern fitness tracker works seamlessly with the iFit® app, allowing you to manage your healthy lifestyle easier than ever.